Sax trio albums don’t promise easy listening. Cover art for Sonny Rollins’ Way Out West, the sturdiest of the breed, braced us for a journey across arid desert terrain. Familiar tunes-“Old Cowhand” and “Solitude” for openers, “Wagon Wheels” later on-helped contour the landscape. Rhythm aces Ray Brown and Max Roach shouldered their share of the soloing burdens. Roach staked out useful landmarks, detonated releases to Rollins’ perorations, and cracked the jokes. 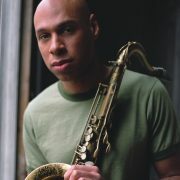 Joshua Redman knows the territory, having commemorated the 50th anniversary of Way Out West in 2007 with his own Back East. Provisions included “Surrey With the Fringe on Top” and “East of the Sun” for openers, “Cowhand” and “Wagon Wheels” down the trail. Compared with that Grammy-nominated outing, the larder here is conspicuously bare. No big-name saxophonists drop by, and the casual listener will thirst for more familiar melodies. Compass has different bearings but rewards closer listening. On five of the 13 tracks, Redman doubles the customary trio backup, bringing two drummers to the studio, Brian Blade and Gregory Hutchinson, and two bassists, Larry Grenadier and Reuben Rogers. Grenadier un-quivers his bow for “Just Like You”-otherwise, headphones are preferred for a full appreciation of how the two rhythm sections keep out of each other’s space. The concept works best on “March,” where Redman wields his soprano horn, and the one oasis of familiarity, “Moonlight,” where Redman’s tenor sounds out the treble of Beethoven’s sonata. Among the trio tracks, Redman’s “Faraway” echoes “Out of This World” while “Round Reuben” evokes a Charlie Parker line. Remove those headphones for “Hutchhiker’s Guide,” “Ghost” (truly spooky with Redman’s soprano), and “Insomnomaniac,” where the drums seem to surround the leader. 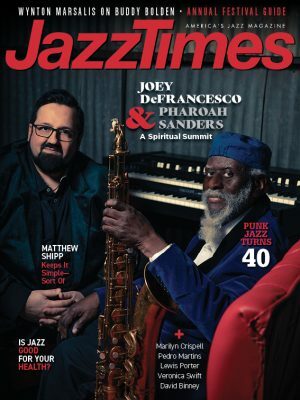 The opening and closing tracks, “Uncharted” and “Through the Valley,” are quartets with both bassists and, equitably enough, different drummers. Enjoy the journey.